Margaret River Hotels - Where to Stay? Margaret River Hotels – where to stay? Margaret River is one of the fastest-growing holiday destinations in Western Australia, with some of the country’s loveliest scenery, best surfing and top quality wineries – and now there is a comprehensive resource to help travelers find the best Margaret River hotels. If you’ve never been there before, finding the best Margaret River hotels might seem overwhelming – especially if you’re travelling from a long distance. How do you get to Western Australia? How can you be sure that you’re getting a good value in your holiday destination? What kinds of amenities are there at the hotels on your list? How can you maximise your holiday time to spend as much time as possible on the beach (or touring the vineyards)? Especially if you’re a first-time visitor to the region, you want to get it right! Finding the right hotel can make a big difference in the overall quality of your travel experience – after all, if you find a place that is out of your price range, or that does not provide what it promised, or if you have to compromise on certain key features, this can turn a relaxing holiday into a frustrating ordeal. The Margaret River Guide was created to help travellers find up-to-date, objective information about Margaret River hotels, accommodation, and tourist attractions in this amazing region. The website is based on independent research and reviews done by local guides who live there, and supplemented by the authentic experiences of real people who have visited. Whether you want to find a budget hotel that still is fairly close to the beach, a luxury oceanfront resort with five-star dining, or a unique country cottage, bed and breakfast or farmstay experience, Margaret River has it all. This site can give you the straight facts and well-researched information on how to get the most out of your holiday. Not sure which way to turn? Chat live with a local guide who can give you personal advice and recommendations on places to stay and things to see. Although it’s been known and loved by Australians for many years, this rural South West corner of W.A now has a growing international reputation as one of the “undiscovered treasures” of world tourism. With some of the world’s best surfing and some of Australia’s premium wines, the region offers a one-of-a-kind travel experience. Hi Bosmar. Not a problem we have a full listing of the local Margaret River Caravan Parks where you will be able to see which one suits. I think Prevelly Park may fit the bill, by the beach (Surfers Point and the river mouth) and not far from Margaret River. I hope you have a good trip and let me know if I can be of any more assistance. I am planning to visit Margaret River in November. It will be the first time that my teen kids are going to be there. I am planning to give them the experience of staying in a caravan so am looking for on-site caravans. Would you be able to recommend some sites. When we are in Perth we will be travelling by car. Our family absolutely loves visiting Margaret River. Even though the hotels are well priced, as a family we look for farm stays in and around the town as the kids just love being able to feed the animals and we love to go on long walks around the farm and surrounding bush area. page as I am sure you will not have the same problem next time. Margaret River Sounds like the place I would really enjoy going to, maybe I had better start planing my visit to Western Australia sooner rather than later. 145 acres wow that sounds huge! Do you do farmstays? We were searching for a farmstay for our trip to WA. I was looking for some in the Margaret River region but I guess I didn’t search hard enough. In the end we chose a lovely one called Lavendale near York. I drove through the Margaret River area on my drive from Adelaide to Perth. I have often imbibed wines from Margaret River and I wanted to visit a few wineries. Next time I will re-visit this site and find one of the good Margaret River hotels to stay in. 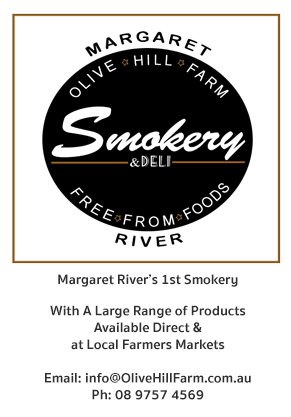 Yes Margaret River is a stunning place to live, our farm is a 145 acres on the banks of the Margaret River called Olive Hill Farm. It is a mixed farm of cows, sheep and over 1,000 Olive trees (lovely extra virgin olive oil and kalamata eating olives). Goodness, not only do you make Margaret River sound great, but your photos are really enticing. Thanks for the temptation! Hi Benji, thanks for stopping by my website. It must be really wonderful to be living in the Margaret River region. What sort of farm do you live on? I have been to Margaret River several times and it is a beautiful place to be. It’s great that you are providing information for Margaret River Hotels since people need the best advice on where to stay because this is a place that is worth seeing in your lifetime. On a world scale they hold surfing competitions here which attracts many people and media to this area, very special place. Thanks for all your comments. Always welcome to call in Richard, Renee, Belinda and Jan, I look forward to meeting you. Long weekend this weekend and the start of School holidays so Margaret River will be very busy, maybe try and pick a quieter time when you come so less rush? I know exactly what you are talking about. I live in Australind and Love my trips down to Margret River. next time I’m there i will have to look you up. Coming from Port Douglas the climate is very different but very nice. And I agree, there is a huge range of Margaret River Hotels to choose from – not an easy task. I will definitely be back to to WA and Margaret River soon! Margaret River sounds like a great place to visit. I haven’t been to WA yet. When I do I’ll be sure to visit. Great surf beaches as well – and good wine – what more could you ask for. You lucky thing to live in such a beautiful part of Australia. Margaret River is such a great place for wineries and bus trips, so your articles will be a huge help to holiday makers wanting to visit Margaret River.